TCM's Airing of "Streetcar" Makes Retired NYPD Det. Grosso Reflect on Working with Brando on "The Godfather"
"Brando was bigger than life. And when you talked about Brando, you talked about god. He was an icon on a set with Duvall, Pacino, Caan. Every actor was trying to impersonate Brando. He was the big shot, let's face it. This was the guy shouting 'Stella!' sounding more like a wounded animal than a civilized human." Turner Classic Movies, one of the great movie networks, is running a feature every Wednesday and Thursday in June called "From Stage to Screen." If you want American classics, tune in! 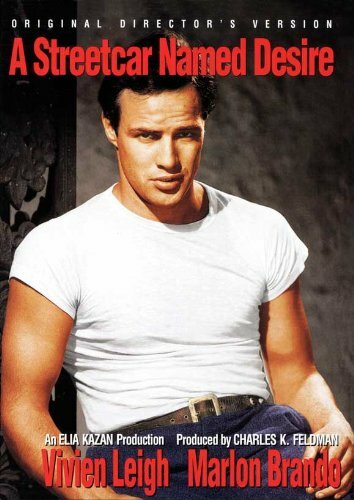 So, on June 8, TCM premieres Tennessee Williams' A Streetcar Named Desire (1951) directed by Elia Kazan and starring Vivien Leigh as neurotic fading belle Blanche, Kim Hunter as her sister Stella, and the incandescent Marlon Brando as the animalistic Stanley Kowalski shouting, "Stella! Hey, Stella!" With 12 Academy Award nominations, Oscars went to Leigh, Hunter, and Karl Malden for their bravura performances. 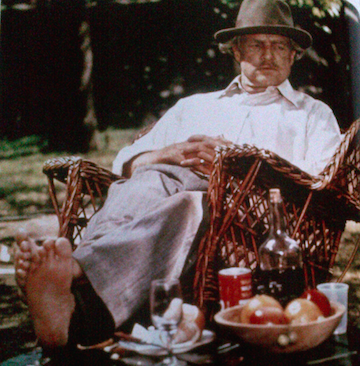 But it's Brando who left audiences and actors everywhere, all-a-twitter -- well, if there had been Twitter at the time. Brando's breakout portrayal propelled him onto other classics like The Wild One (1953) and On the Waterfront (1954), in which he uttered a line that AFI voted one of cinematic history's most memorable: "You don't understand. I could've had class. I could've been a contender. I could've been somebody instead of a bum, which is what I am..."
Brando became one of the greatest actors of his generation and inspired the likes of Pacino, De Niro and Nicholson, and others. Brando enjoyed a rebirth with his Oscar-winning performance as Don Corleone in Francis Ford Coppola's The Godfather in 1972. Which is where my pal, retired NYPD detective Sonny Grosso, comes in. 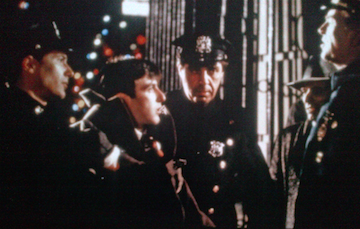 Moonlighting as a technical advisor for director Billy Friedkin on The French Connection, which would earn 5 Academy Awards itself for 1971, Det. Grosso was taken by Friedkin to meet Coppola who was told, "Francis, you can't make a movie in New York City without Grosso's Gorillas." His "Gorillas" were all his police pals from rookies to inspectors who he'd try to get into the film to share his incredible experience. I was walking by Brando's trailer, and suddenly he tapped on his window and said, 'Sonny, come in here for a minute.' Even though I tried to be cool, Brando the god is calling me into his trailer. I shake his hand and he says, 'So you're the cop that made 'The French Connection?'... Can you get me a copy of the book?' Being a wiseass, I wanted to say, 'Sorry, I can't,' to tease him but I immediately ran out to get a copy and he shouts, 'Sonny, and you autograph it!' I was six feet off the ground. I mean I was a kid from Harlem and Marlon Brando, the guy who was bigger than life, wanted my autographed copy of Robin Moore's book about our case. Who would believe it? I sure didn't! Brando waves me into his trailer again, gives me a cup of coffee and proceeds to ask me some of the most intelligent questions I ever got about The French Connection case and book. He'd read the whole damn thing overnight and he asked me things like the weight of the car in France and how it changed when it came to New York. I told him I came up with that information. Marlon was amazed at my story and I was totally impressed with his interest. When I got there, the show was thirty minutes long and they had two hairdressers on first for ten minutes. Then a juggling chimpanzee act -- I'm not kidding -- went on next for ten minutes before me. So then I go on but only for eight minutes. Even the chimps got more airtime than me! For all it was worth, I wish I would've been in the chimpanzee segment! 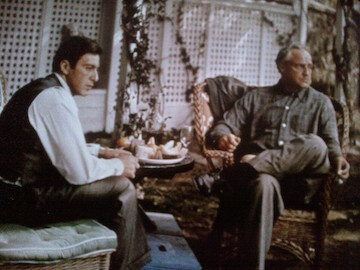 As for Brando's fellow actors on The Godfather, including Pacino who Grosso did five movies with, Grosso says they treated Brando with the respect he was due. And he had a sense of humor, with Brando reportedly mooning his fellow actors on the set one time. 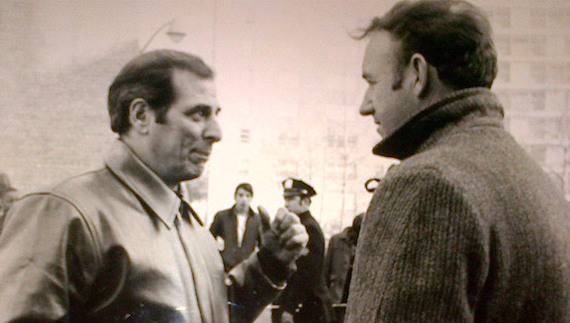 But Grosso quips he was happy Brando wasn't in the scene when the real-life NYPD detective had an acting cameo -- and had to do a "few" unintentionally hilarious takes on his line, "Give the kid a break Captain, he's a war hero." But Brando was often like a lone wolf. While the other guys were shooting the breeze before a scene, Brando would have four panels set up around a stool where he sat getting into character. He'd be alone on set getting into the feel of the scene, or whatever it was he had to do. His 'method.' He improvised that orange peel thing just before his death scene. Francis asked him how they could make that scene where he's playing with his grandson believable. Brando said, 'Here's how I play with kids,' and took an orange peel, cut it into pieces that looked like fangs and stuck them into his mouth. He'd also improvised by using Kleenex in his mouth to puff up his cheeks. What a guy! What an actor! And, what an unforgettable time in my life. Check out A Streetcar Named Desire on TCM's "From Stage to Screen" in June.